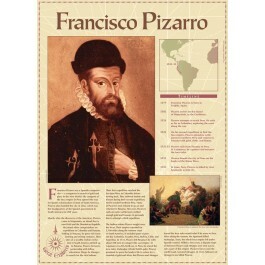 Francisco Pizarro was a Spanish explorer and conquistador. His conquest of the Inca empire in Peru paved the way for Spain's colonization of much of South America. 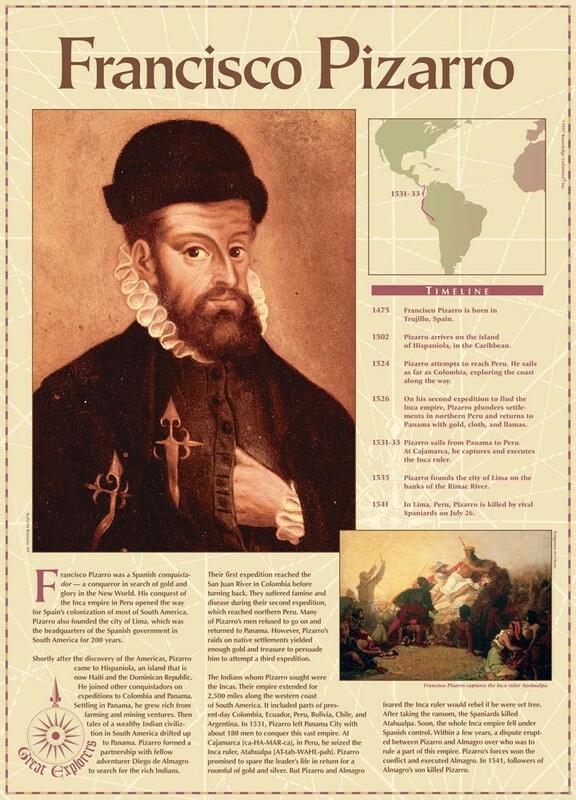 This educational poster includes explanatory text, a map and timeline, and a beautiful art image of Pizarro.